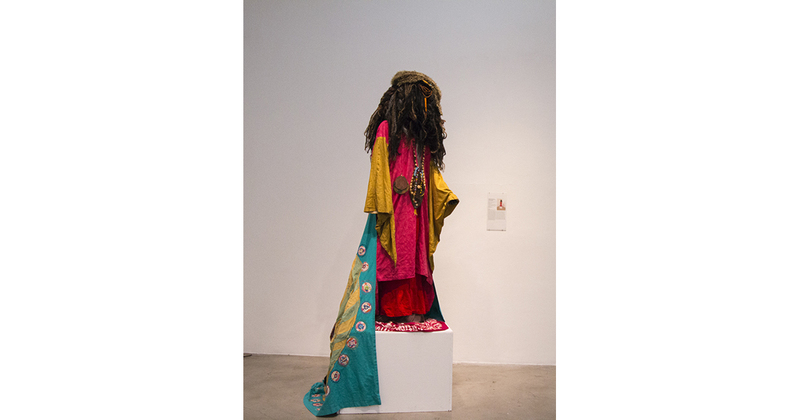 Kenyatta A. C. Hinkle, Healing Garment of the Asheentee People 1, 2014. Photo by Jessica Wimbley & Chris Chistion. 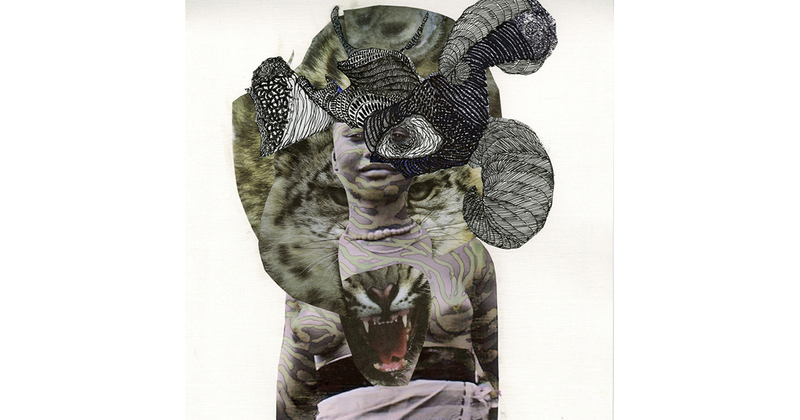 Kenyatta A. C. Hinkle, The Huntress, 2014, India ink and collage on cotton paper, 12 x 12 in, photo by artist. 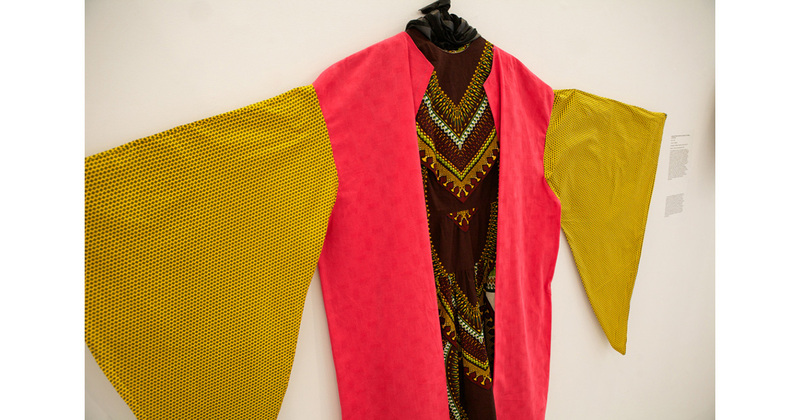 Kenyatta A. C. Hinkle, Kentrifican Healing Garment, 2012, photo by Thom Carroll. 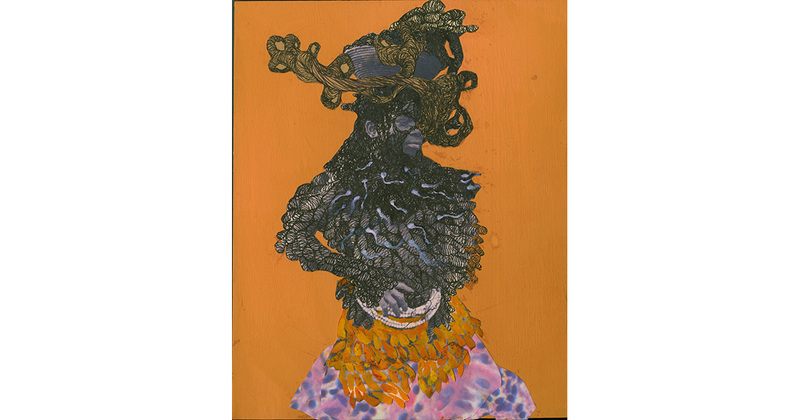 Kenyatta A. C. Hinkle, The Bastion, 2015, gouache, cotton paper, India ink, collage on wood panel, 8x10 in, photo courtesy the artist. Kenyatta A.C. Hinkle is an interdisciplinary visual artist, writer, educator and performer who lives and works in Los Angeles and Oakland, CA. In her Artist Lab Residency at 18th Street Arts Center, her exhibition Kentifrica Is: Re-imaging Collective Geographies will explore diaspora as a space of cultural invention. 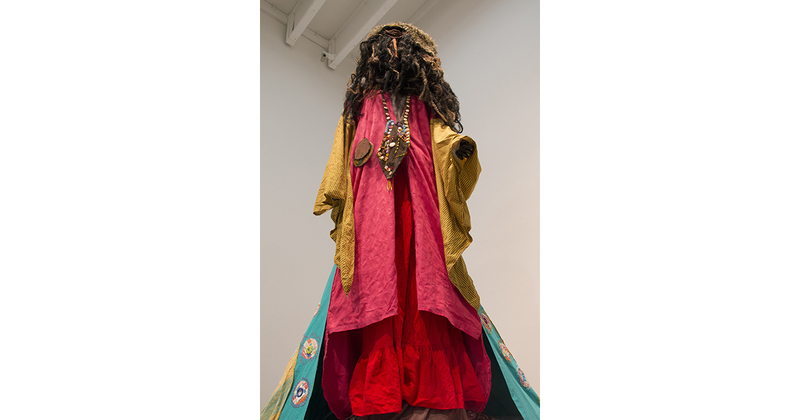 Her practice fluctuates between collaborations and participatory projects with alternative gallery spaces within various communities to projects that are intimate and based upon her private experiences in relationship to historical events and contexts. 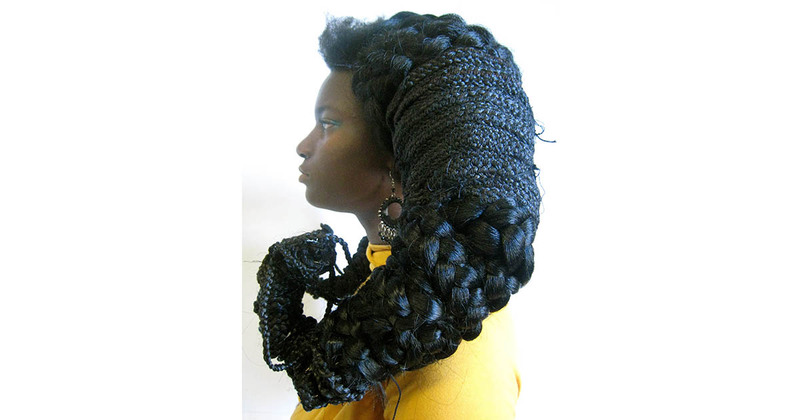 Her artwork and experimental writing has been exhibited and performed at The Studio Museum in Harlem, NY, Project Row Houses in Houston, TX, The Hammer Museum in Los Angeles, CA, The Museum of Art at The University of New Hampshire, The Museum of the African Diaspora (MoAD) in San Francisco and What If The World Gallery in Capetown, South Africa. 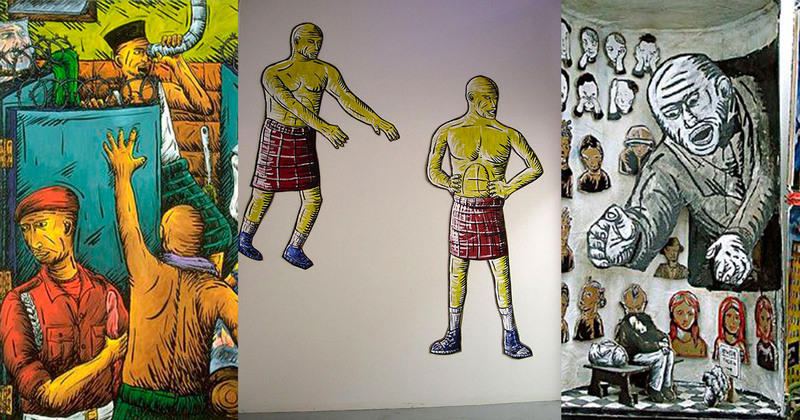 Hinkle was the youngest artist to participate in the multi-generational biennial Made in LA 2012. 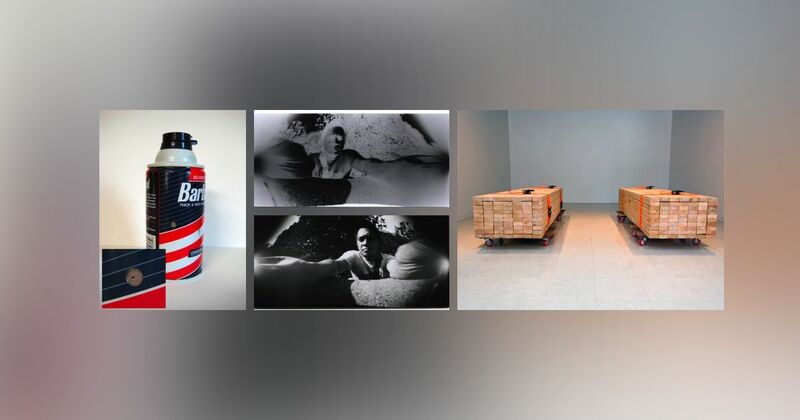 She is also the recipient of several fellowships and grants including: The Cultural Center for Innovation’s Investing in Artists Grant, Social Practice in Art (SPart-LA), Jacob K Javits Fellowship for Graduate Study, The Fulbright Student Fellowship, and The Rema Hort Mann Foundation’s Emerging Artists Award. Her writing has appeared in Not That But This, Obsidian Journal, IPI Press, and the anthology Among Margins: Critical & Lyrical Essays on Aesthetics, edited by Fox Frazier-Foley and Diana Arterian. 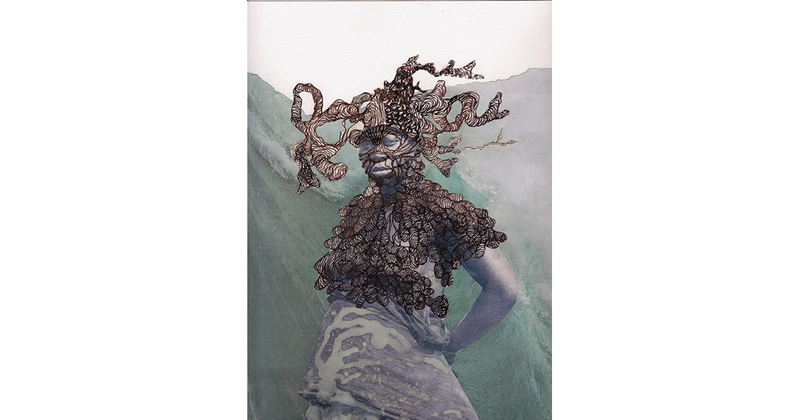 Hinkle is represented by Jenkins Johnson Gallery in San Francisco, CA. OPENING RITUAL: Where is My Ain’t? 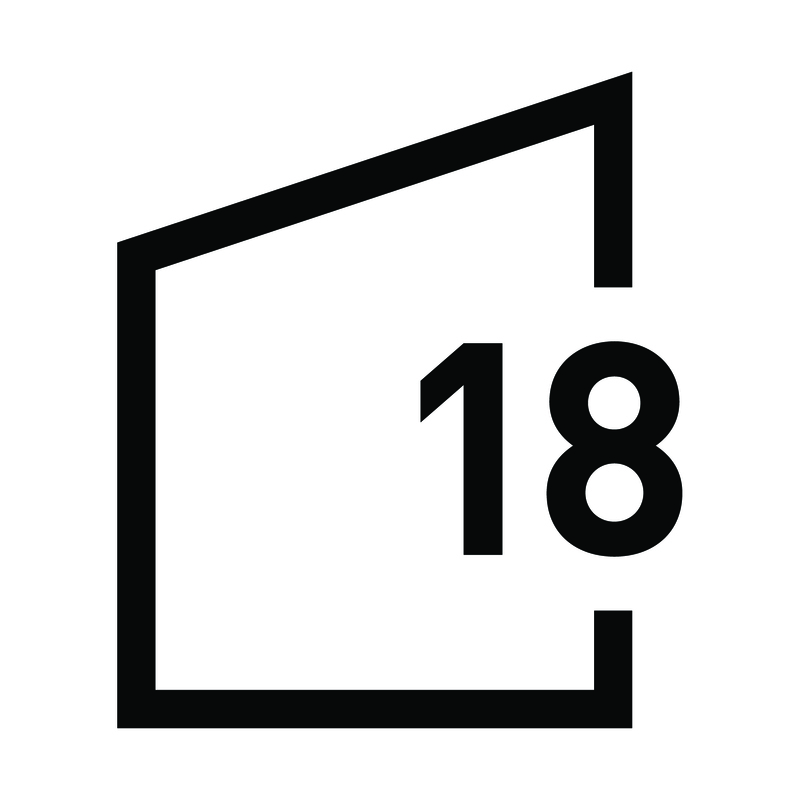 Directly support artists and high-quality arts programming.